Mass gainers or weight gainers, as the name suggests will help you gain mass or weight. The standard principle for gaining weight is to eat more calories than you will burn. However, as a bodybuilder, what do you want to gain? Weight in the shape of pot belly or muscle mass? 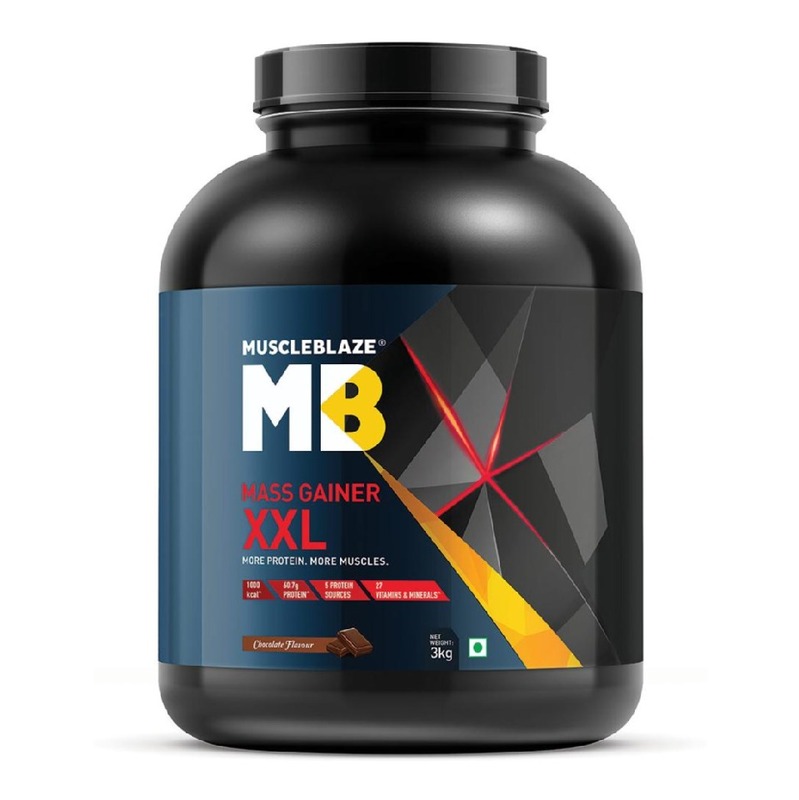 Obviously, it will be muscle mass, and here, a mass gainer is going to help! What does mass gainer do to your body? What is the role of mass gainers? How to choose mass gainers? A mass gainer is not a pure protein. It contains carbs also. They are also known by the name weight gainers! Usually, they are taken as synonyms, but there exists a difference in their composition, specifically in their protein versus carbs ratio. 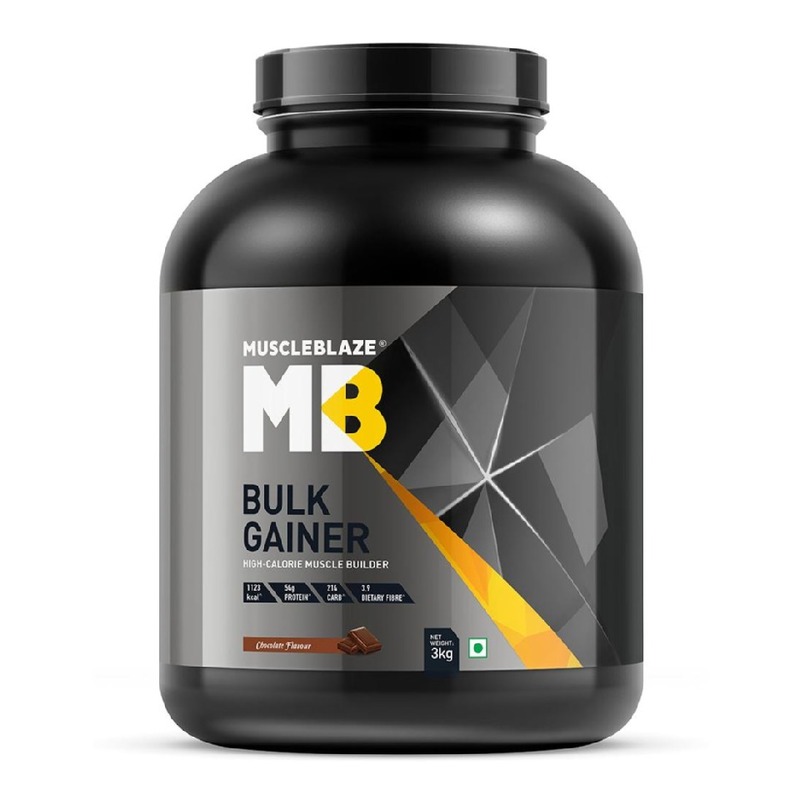 Mass gainer serves a mix of proteins and carbs, along with high-quality fats and multivitamins (optional). The ratio of proteins and carbs in mass gainers can range between, 1:3 to 1:5. This ratio also indicates whether the supplement is a mass gainer or a weight gainer. As a general rule, mass gainers have 1:3 protein and carbs ratio and in weight gainers, this ratio goes up to 1:5. · A mass gainer is for those, who cannot eat enough calories, protein, carbs and fat to build adequate muscle. This is typically teenage males and guys in their early 20s. Mass gainers give you extra calories along with measured macros, such as proteins, carbs, high-quality fats in an easy to mix shake. It is these nutrients that cause a difference in your strength, size and stamina. How? When you want to increase the size of your chest, back, biceps, you need to go in a calorie surplus situation, which means, you should be eating more calories than you can spend in a day. What should be that calorie number so that you put on lean muscle mass and keep the fat at a bare minimum? Measure your weight in an intelligent weighing machine that will tell your body fat percentage as well. 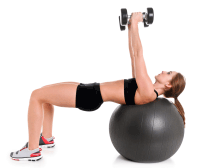 Multiply the lean muscle mass weight in pounds with 20 and you will get the calorie number. Now, if you want to increase your calorie intake, you need to know your lean muscle mass and figure out your calorie allowance. Stick to it in order to build lean muscle mass! People who need to put on weight find it hardest to do so. The reasons could be a busy lifestyle, fluctuating hunger level, high metabolism. Thus it becomes harder for them to fulfil their calorie needs. Here, mass gainers help, if you choose the right mass gainer. Your objective is to choose a supplement that will fuel your muscle gain and not fat gain. Therefore, junk foods, such as doughnuts, burgers, pizza are a complete no for someone who is trying to build muscles. The calories should come from high-quality nutrients, such as proteins, complex carbs, good fats, vitamins and minerals. Proteins or amino acids are important for building muscles and complex carbs provide steady source of energy, which will give you energy to work out more intensely. The ratio of proteins to carbs should vary between 1:3 to 1:5. 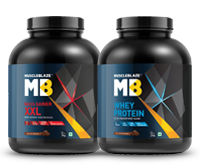 Proteins in your mass gainer should come from a blend of proteins, such as casein, whey and milk protein. Your tub of whey gainer or mass gainer should not contain an overdose of sugar. The sugar content more than 6g in a 100g serving indicates that your mass gainer is an expensive sugar formulation. You should pay for premium nutrients and not sugar. Therefore, read the label carefully, before you make a purchase. Does it have digestive enzymes? Digestive enzymes reduce the common side effects of a mass gainer, such as unpleasant sensations, like bloating and ensure that all that protein and complex carbs are getting digested and absorbed in the body. Generally, the trouble with increasing the calorie intake is that it becomes difficult to digest that extra food and the person resorts back to his earlier dietary habit. For those who do not know multivitamins are required to build energy and immunity. B vitamins particularly have a critical role in converting the foods into energy and if you are a gym regular, you know how important is energy to push those extra reps? The best mass gainer will also have creatine in it, like Mass Gainer XXL as creatine builds energy for those phenomenal lifting sessions. And, anyone who is seeking to build muscle mass knows that it is hard to build muscle mass without working out intensely. You got to challenge your limits and creatine gives you the energy to do so. For best results, you should use the mass gainer as directed on the label. Since mass gainers contain lots of carbs and a good amount of protein, you can have it after a workout, at bedtime, before meals or after waking up. Follow the manufacturer?s direction and do not use it more than directed. Also, be sure to eat healthy foods along with your mass gainer. A supplement is in addition to healthy meals and workout regularly. Soon, you will build an admirable physique.